Presenting sponsor: Meet all our QTM Sponsors! "Patchwork as Restorative Social Practice" After unwittingly defying the sexist dress code at Wiley Junior High at the age of 13 with a modest sundress of my own creation, I came to realize sewing as a source of creative expression, personal empowerment, and subversive resistance. This experience defined a trajectory of restorative social practice that I've explored, shared, and honored throughout my career as a quilt maker, artist, teacher, author, improviser, activist and healer. SHERRI LYNN WOOD is a working artist based in Oakland, CA. She is the recipient of the Joan Mitchell Foundation Grant for Painters and Sculptors, and a two-time MacDowell Colony Fellow. Most recently she completed a four-month residency at Recology San Francisco with the task of presenting a body of work made completely from materials scavenged from the city dump. She has been making quilts and facilitating improvisational patchwork as a restorative life practice for twenty-five years. 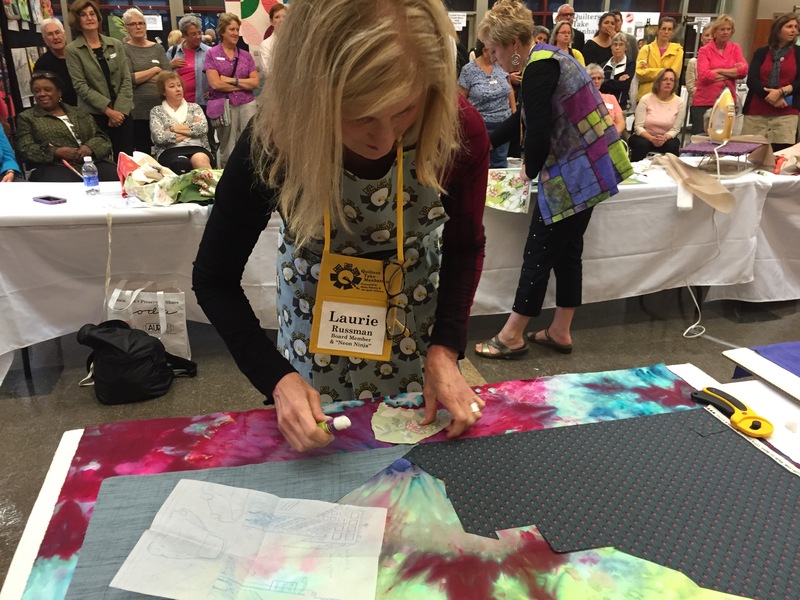 Teaching credits include Penland School of Craft, QuiltCon, and numerous modern and traditional guilds across the US and abroad. She is the author of The Improv Handbook For Modern Quilters – A Guide to Creating, Quilting and Living Courageously (Abrams 2015). "Making Do: Southern Style" by Merikay Waldvogel Merikay Waldvogel’s 1990 book Soft Covers for Hard Times: Quiltmaking and the Great Depression marked the beginning of serious study of 1930s quilts. Based in Knoxville, Tennessee, Merikay interviewed older quiltmakers primarily in the Southeast to learn more about how they made their quilts. Even though the South was somewhat isolated, national marketing to revive quiltmaking reached both urban and farm women of the South. Thousands of new “modern” patterns, ready-made kits, and time-saving tools changed how quilts were made in the South. However, the tradition of “Making Do” remained strong. Merikay is particularly fond of the quilts made without a pattern. She finds joy in the so-called "mistakes" where rules are broken. Her slide presentation will focus on those quilts. From her own collection, she will bring Southern examples of feedsack, scrap, and string quilts. 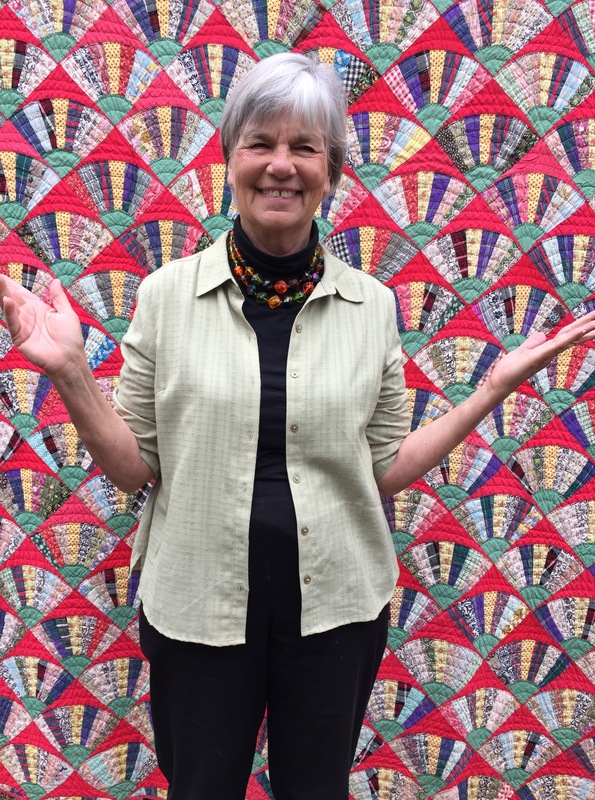 Merikay Waldvogel is a quilt historian, curator and author living in Knoxville, Tennessee since 1976. She has written several books and articles. She has served on the Boards of the American Quilt Study Group and the Quilt Alliance. In retirement, she travels more often to seek out birds in faraway lands. Quilts and their stories remain her passion. "Michael Cummings has been working with the quilt form since the early 1980's. 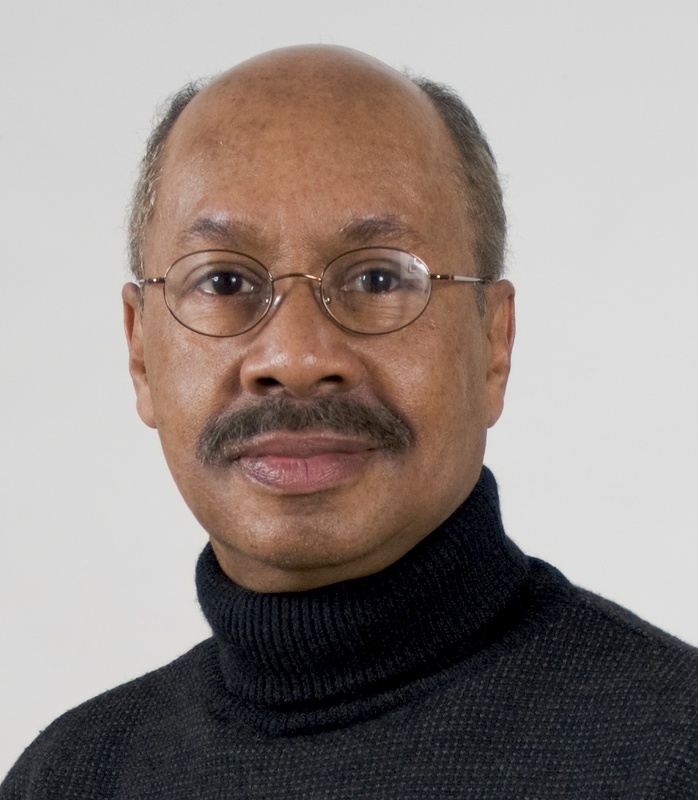 Cummings has successfully synthesized aesthetic qualities found in folk art, in African and African American art (think Romare Bearden), in music (specifically, jazz), and in diverse textile and non-textile narrative traditions, to arrive at a unique and sincere expression that trumps the frequently overwrought and sentimental picture quilts of less able makers. He's committed to telling the stories of African Americans across a broad historical, social, cultural, philosophical, and mythological spectrum. His recent "A Young Obama" takes an objective, biographical approach to representing the first African American president, but Cummings's pride and admiration are palpable. Here are two black men---the artist and the politician ---looking purposefully and unblinkingly at new American paradigms and at a future of possibility that fulfills the dreams of their fathers." Dr. Carolyn Mazloomi is a historian, curator, author, lecturer, artist, mentor, founder, and facilitator — and has left her mark on many lives. 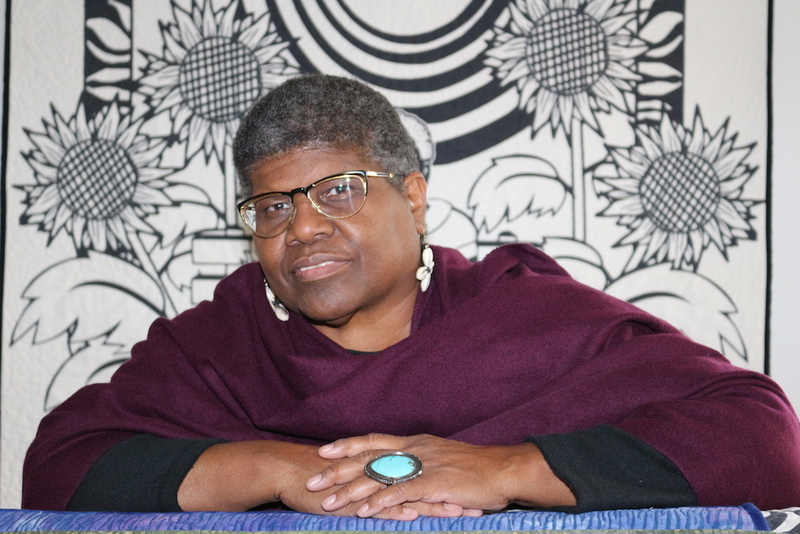 Trained as an aerospace engineer, Carolyn Mazloomi turned her sites and tireless efforts in the 1980s to bring the many unrecognized contributions of African-American quilt artists to the attention of the American people as well as the international art communities. From founding the African-American Quilt Guild of Los Angles in 1981 to in 1985 founding the Women of Color Quilters Network (WCQN), Mazloomi has been at the forefront of educating the public about the diversity of interpretation, styles and techniques among African American quilters as well as educating a younger generation of African Americans about their own history through the quilts the WCQN members create. A major force as an artist in her own right, Carolyn Mazloomi’s quilts have been exhibited extensively in venues such as the Mint Museum, American Folk Art Museum in New York City, National Civil Rights Museum, Museum of Art and Design, Wadsworth Atheneum Museum, and the Renwick Gallery of the Smithsonian Institution in Washington, DC Her pictorial narrative quilts make plain her personal themes: family life, women’s rights, political freedom, and musical legacy. Her own quilts have appeared in over 70 exhibits, while she has curated 17 extensive exhibits of quilts made by members of the Women of Color Quilters Network, many of them traveling exhibits. Among the many exhibitions she has curated is “Still We Rise: Race, Culture and Visual Conversations,” which visually surveys 400 years of African American history. It is the largest traveling exhibit of African-American quilts ever mounted. Pokey Bolton is the founder of Quilting Arts and Cloth Paper Scissors magazines, and Founding Host of Quilting Arts TV on PBS. When Quilting Arts and Cloth Paper Scissors were acquired by Interweave, she then became the Editorial for the Quilt, Paper, and Sewing divisions within the company. 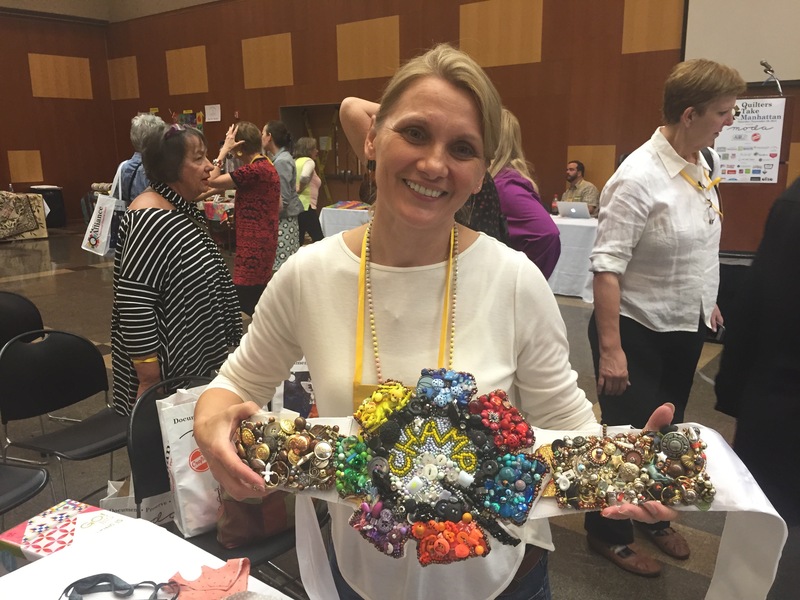 After her tenure at Interweave, Pokey took the new position of Chief Creative Officer at Quilts Inc., for both the International Quilt Festivals and Quilt Markets. 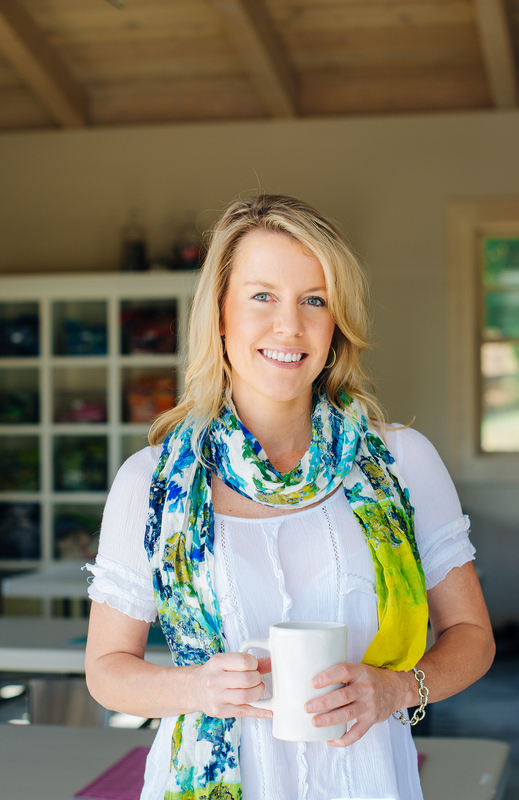 After two and a half years in Houston, with her experience in publishing, media, events, and craft adventures (by land and sea), she founded Crafting a Life, LLC, a media and events company based in Napa, CA. Her first event CRAFT NAPA launched in January 2016 in downtown Napa, and took place again this past January. She recently added publishing to the business and the book, Playful Fabric Printing authored by Carol Soderlund and Melanie Testa made its debut in January. Pokey has also served multiple terms on both Studio Art Quilt Associates and International Quilt Association boards. Friday, September 15–view times and details. Saturday, September 16–view times and details. Quilters Take Manhattan Main Event at FIT with featured speakers Sherri Lynn Wood, Merikay Waldvogel, and Michael A. Cummings, interviewed by Dr. Carolyn L. Mazloomi for Quilters’ S.O.S. – Save Our Stories, and Pokey Bolton will emcee the event. 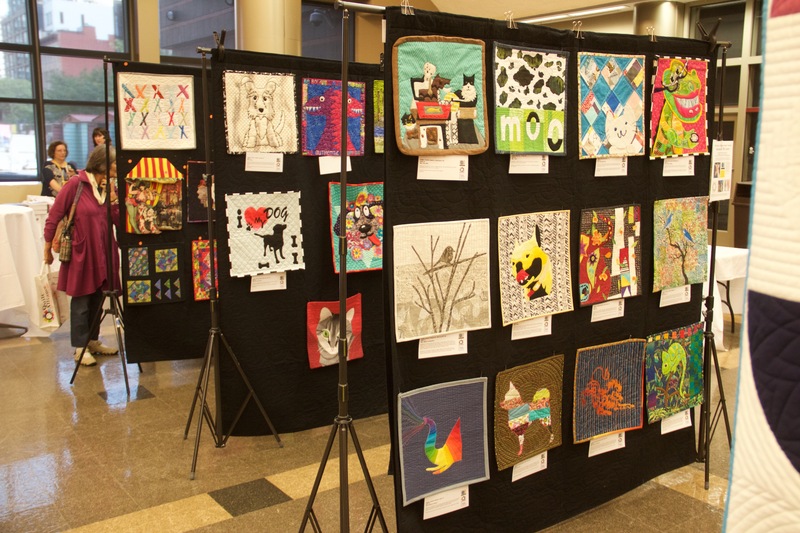 After the lectures, shop with vendors, get some great deals in our silent auction and raffle, take in the beautiful quilts shared by our speakers and the 2017 Alliance contest artists, and participate in (or just watch) the first QTM Fashion Challenge. Sunday, September 17–view times and details. Workshop with Victoria Findlay Wolfe. Quilters Take Manhattan Main Event at FIT with featured speakers Kaffe Fassett (with Brandon Mably) and Dr. Carolyn L. Mazloomi. Mark Lipinski will be interviewed by Marie Bostwick for Quilters’ S.O.S. – Save Our Stories, and Mary Fons will emcee the event. After his lecture, Kaffe will sign copies of his new book, Bold Blooms with co-author Liza Prior Lucy. Shop with vendors, get some great deals in our silent auction and raffle, watch three contenders, Aleeda Crawley, Chris Dodsley, and Mary Fons, vie to win the Heavyweight Quilter of the Worrrrrld in Quilt Match Manhattan. QTM After Dark Pizza Party at the beautiful loft home and studio of Victoria Findlay Wolfe. Enjoy pizza and beer while you meet and greet some of our presenters and board members. Try your hand at winning a prize by playing the Quilt Alliance’s own quilt games, Mod or Not?! and Match the Patch! 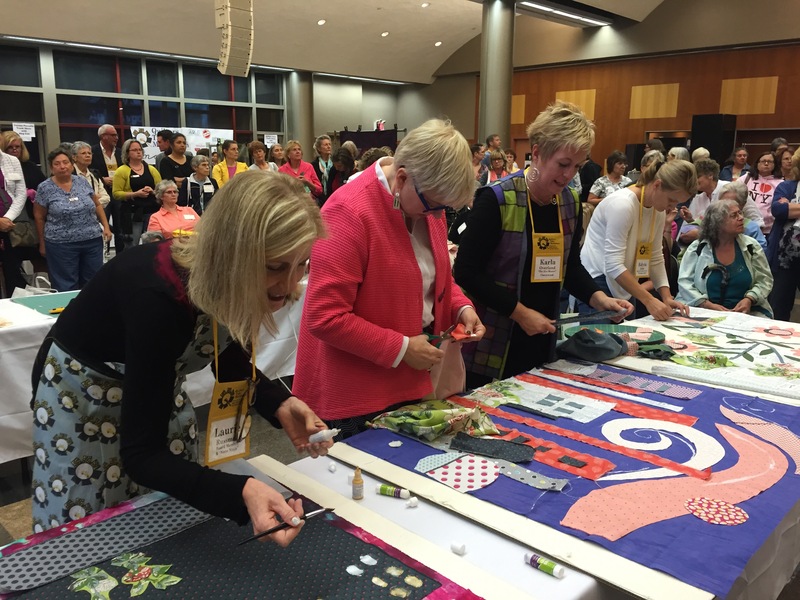 Quilt Match: An all-out quilt-making smackdown! Workshops with Victoria Findlay Wolfe, Jamie Fingal and Laurie Russman. Tours of the Garment District with Paula Nadelstern, RaNae Merrill, and Diane Rode Schenck. Behind the Scenes at the Metropolitan Museum’s Renowned Textile Center. Tour of the American Folk Art Museum’s new collection facility. 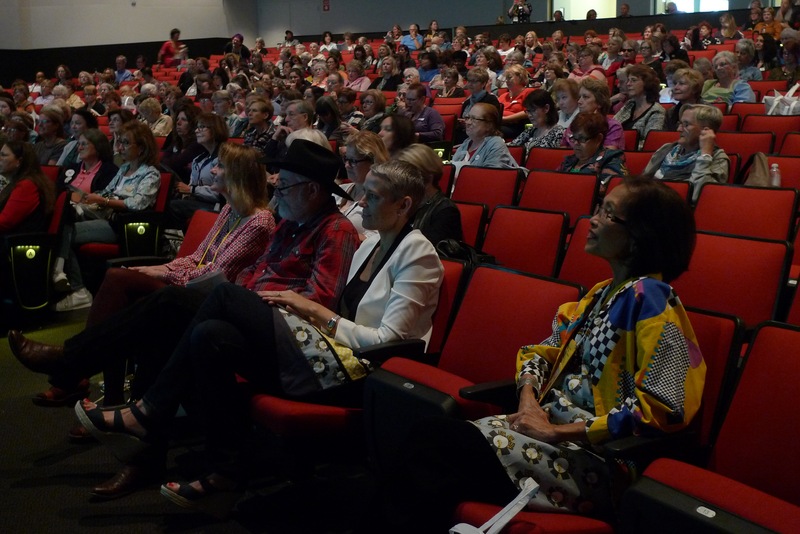 Quilters Take Manhattan Main Event at FIT with keynote speaker Ricky Tims, a lecture from Victoria Findlay Wolfe, a QSOS interview with Edyta Sitar, and Go Tell It at the Quilt Show! interviews. Trunk shows from Yvonne Porcella and others. Lecture by Alex Veronelli of Aurifil at The City Quilter. Silver sponsors: Simplicity, E-Z Quilting, Handi Quilter, eQuilter.com, Quilting Treasures, FreeSpirit, Michael Miller, Windham Fabrics, Springs Creative, and Make It Simpler. Bronze sponsors: Timeless Treasures, Bernina, Marcus Fabrics, Fairfield, Melanie Falick Books, and Oliso. Workshop at The City Quilter with Allie Aller. Tours of the Garment District with RaNae Merrill, Mark Lipinskiand Paula Nadelstern. 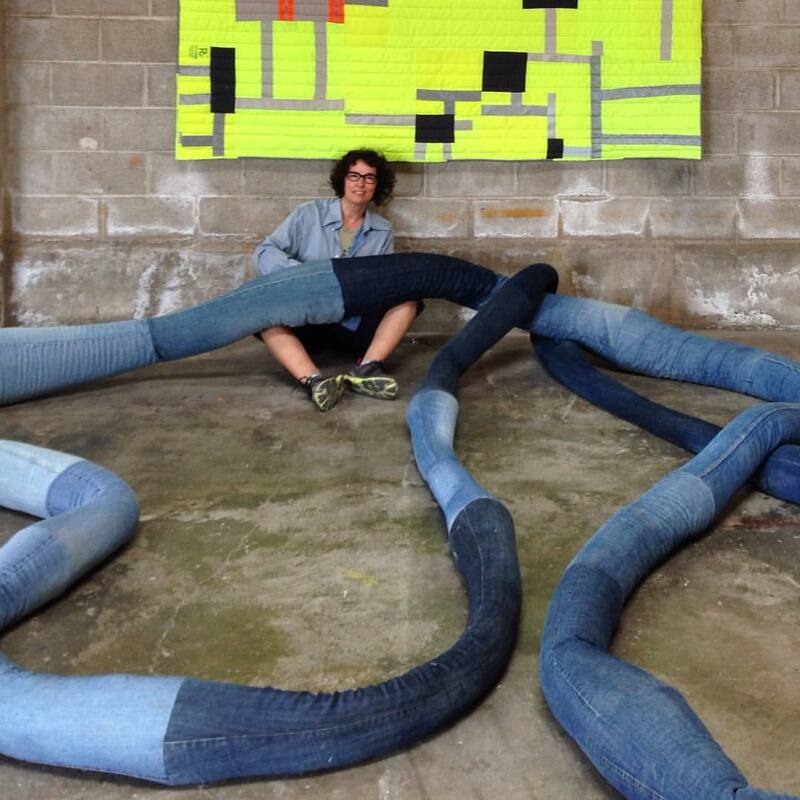 Breakfast with Lizzie: Mark Lipinski Interviews Lizzie B Cre8tive for Q.S.O.S. Bronze sponsors: Timeless Treasures, Bernina, Marcus Fabrics, Havel’s Sewing, Marie Bostwick, Melanie Falick Books, and Professional Association of Appraisers – Quilted Textiles. Venue sponsors: The City Quilter and Bumble Beans, Inc.
Tours of the Garment District with Mark Lipinski and Paula Nadelstern. QTM After Dark Cocktail Party at the studio & home of Victoria Findlay Wolfe with a quiltoff between Luke Haynes, Heather Jones and Mark Lipinski! Friday, August 5, 2011, 7:00-10:00 p.m. 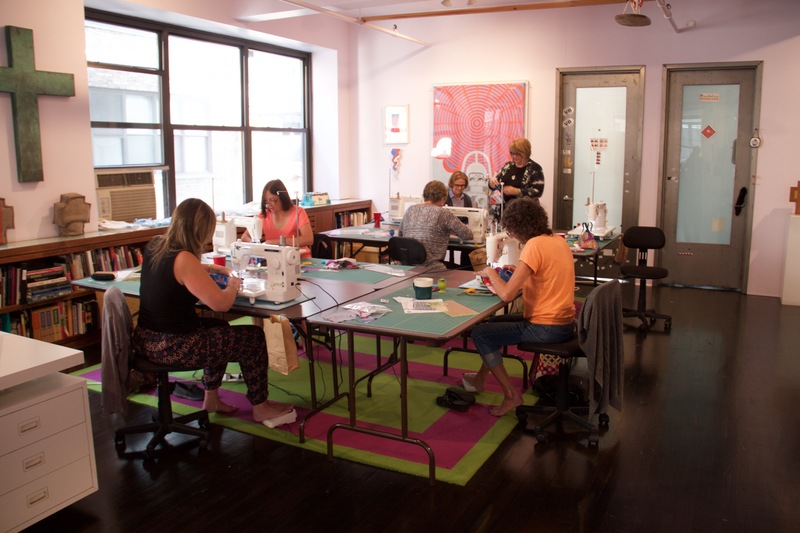 This event was an intimate gathering at a Garment District loft and included a panel of in-the-know bloggers, fabric designers and A-list quilters discussing the Modern Quilt movement. Also, guests witnessed Victoria Findlay Wolfe (Bumble Beans Inc.), custom quiltmaker and co-founder of the New York City Metro Area Modern Quilt Guild and Bumble Beans Basics charity project being interviewed for the Alliance’s oral history project, Quilters’ S.O.S. – Save Our Stories (Q.S.O.S.). Our panel was moderated by Jackie Kunkeland panelists included Melanie Testa, Kim Hryniewicz, Jennifer Paganelli,John Adams and Nancy Soriano. Refreshments and door prizes. Our biggest event in the series was held at F.I.T., the Fashion Institute of Technology and featured beloved quilt TV hostMarianne Fons. 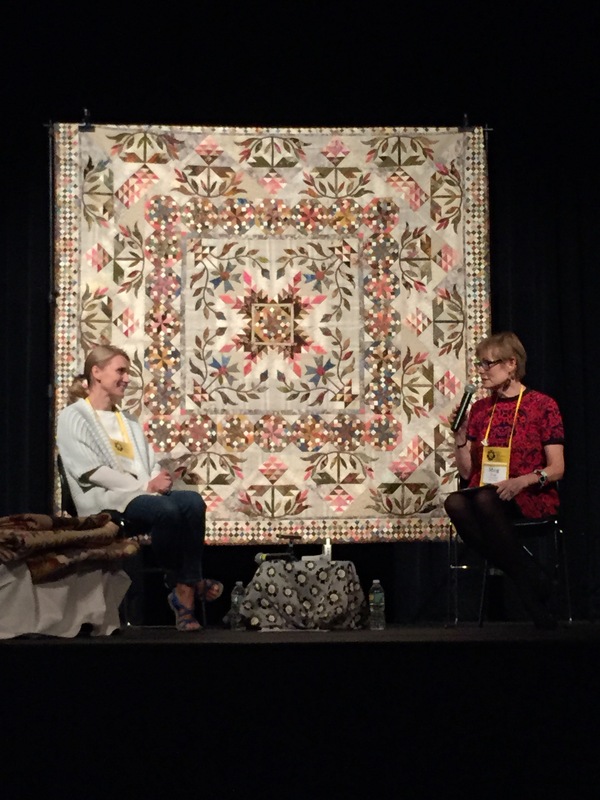 Marianne lectured on “Why We Quilt,” and her daughter Mary Fons, a slam poet from Chicago who recently launched her own quilt TV show, “Quilty,” on the Internet followed in the program. Then, we met Jay McCarroll, first season Project Runway winner, who is now designing quilt fabric for FreeSpirit. Jay was interviewed for the Alliance’s prestigious Q.S.O.S. oral history project by quilt and media star Mark Lipinski, and took questions from the audience. The afternoon had it all: door prizes, refreshments, goody bags, and an amazing silent auction. After our F.I.T. event we took a short walkto a unique cocktail party in the best and biggest quilt shop in Manhattan–The City Quilter. This just-expanded, eye-popping shop includes a new art gallery for quilts, where we viewed an exhibit by Japanese quilter Noriko Endo (work pictured at left). We nibbled on appetizers and drank wine, while rubbing elbows with Marianne and Mary Fons, Jay McCarroll and lots of surprise quilt celebs. 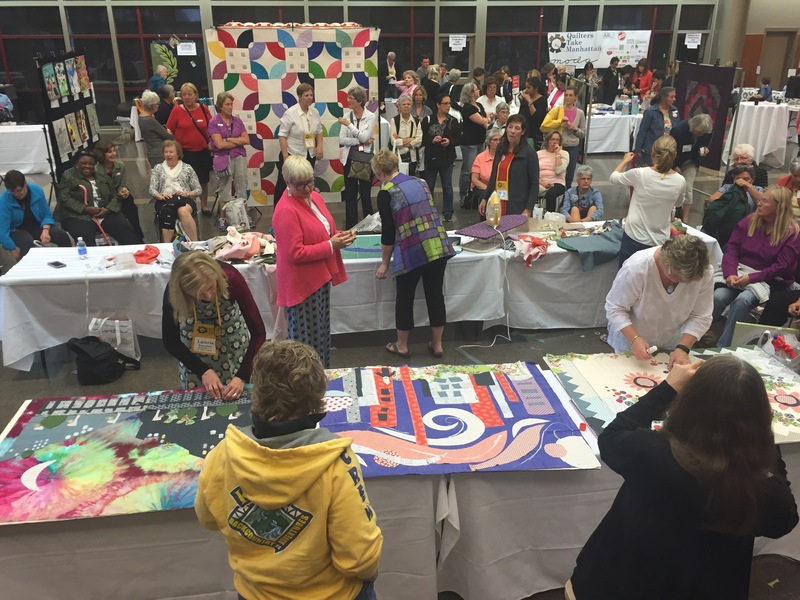 Activities included live bidding in the first-ever show and auction of quilts made by board members of the Alliance for American Quilts.